Wear one pair, pack another – and travel the world! Packing light is all about underwear. Wear, wash, repeat – it’s the easiest way to travel in hot countries or cold climates where centrally heated hotels dominate – and these Tilley Coolmax Extreme men’s briefs are a great way to travel light. Taking only ‘durable’ underwear like the Tilley Coolmax Extreme men’s briefs can drastically reduce the size of your baggage, especially if you’re used to taking six or seven pairs of boxers or knickers on your travels. Although claiming to be odour, bacteria and, err, stain resistant, we’d recommend you wash one pair every evening because, remarkably, the Tilley Coolmax Extreme men’s briefs dry in just two hours – tested! 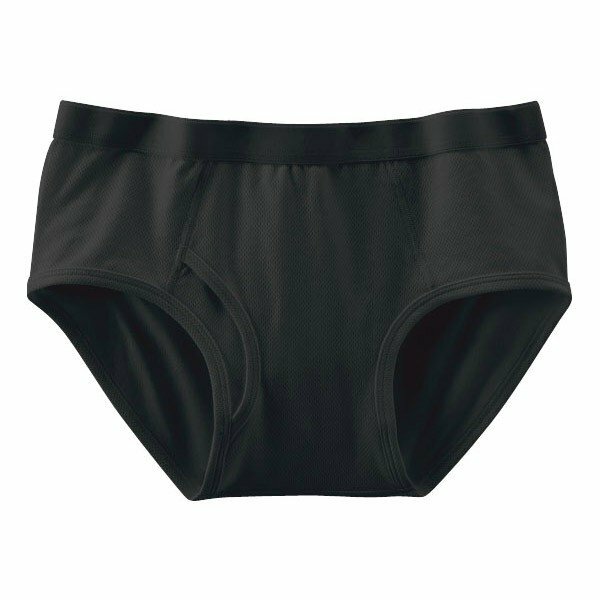 Available as men’s and women’s briefs (as well as boxers), they’re great for hikers, too since the polyester-based fabric also ‘wicks’ sweat away from skin and prevents nasty chafing. Yes, they’re pricey, but these ‘performance pants’ are far from a bum deal. Roomy they’re not, but since they’re comfortable to wear, fast-drying – and, frankly, less smelly than cotton underwear – the Tilley Coolmax Extreme men’s briefs are the ultimate for space-conscious travellers.